Registering to vote is a right of passage for young adults who turn 18. There are scores of voter registration drives on high school campuses to get these young people registered. Yet what they don’t tell students in Tennessee is that unless they stay local, voting in their first election will require many hoops to jump through to successfully vote. In Tennessee, unless you register in person a voter cannot request an absentee ballot until they vote in person for the first time. On the surface, this might sound reasonable—the state ensuring that voters really are who they say they are and that their identities have been confirmed in person at least one time. Except, rampant voter fraud that laws like this claim to protect our democracy from are extremely rare and the stiff penalties for committing voter fraud already serve as a deterrent. Instead, these laws, this law specifically, target young and newly registered voters in an effort to suppress their vote. Suppress their voices. Emma was a student at Science Hill High School in Johnson City. Like other high school seniors, other students who would be 18 by the November election, proudly registered to vote at one of the many voter registration drives. Emma registered to vote through Rho Kappa, a national honor society for junior and senior high school students who excel at Social Studies. In May 2018, Emma graduated and prepared over the summer to move to Winston-Salem, North Carolina for college. Wake Forest University is a prestigious institution with a rigorous curriculum that prepares students for whatever their professional ambitions might be. Emma began her undergraduate career at Wake Forest in August of 2018, looking to continue her education with challenging courses that demand her time and attention to successfully complete at the end of the semester. And while the 2018 election wasn’t far from her mind, her status as a voter was never a question. She’d registered. Nothing indicated that she had hurdles in front of her to be able to vote. 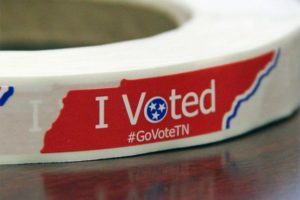 Today is the deadline to apply for an absentee ballot in Tennessee. Emma, a responsible, first time voter, requested an absentee ballot from the Washington County Election Commission long before the deadline. Days before final Saturday of early voting, the Washington County Election Commission called Emma to notify her that her request for an absentee ballot was denied due to Tennessee’s law requiring first time voters who didn’t register in person with the election commission to vote in person before being allowed to request an absentee ballot. Unable to make a last minute, 3-hour trip to Washington County to vote or make the 3-hour trip on Tuesday, November 6 to vote, Emma is now facing with the knowledge that she most likely wouldn’t be able to vote. She didn’t understand why it was so difficult to participate in our nation’s democracy. 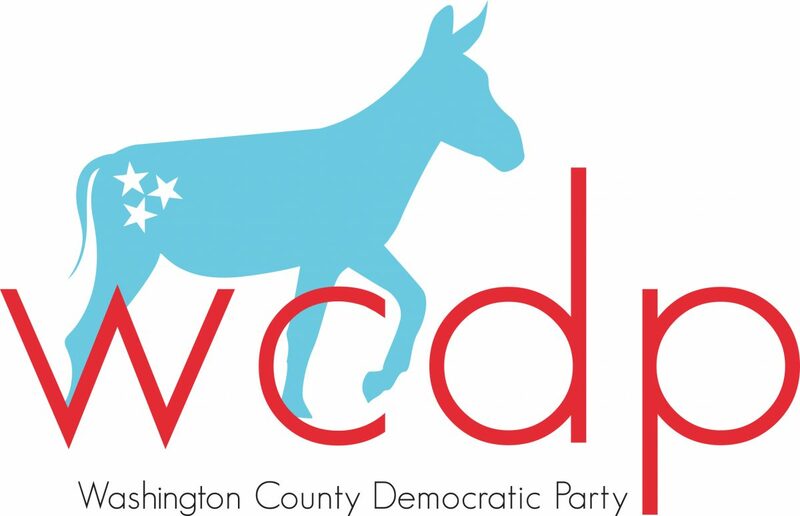 Frustrated, Emma contacted the Washington County Democratic Party looking for answers, looking for help. While we can’t change Tennessee’s law, until we vote in candidates who will enact legislation that directly removes hoops and hurdles for voters; we can share the stories of registered voters who face nearly impossible obstacles to voting. Voters like Emma deserve to have their stories told and need to have voters like you draw a line in the sand by voting for candidates who will keep our democracy open, free, and accessible. Emma is a smart young woman who is engaged in the political process, engaged in our democracy. She was accepted to a prestigious university that would make any parent proud. She has a bright future ahead of her provided that she applies herself—which includes attending classes. This includes classes that are scheduled on the first Tuesday of November. Emma is a student who deserves the opportunity to vote without hurdles while pursuing her degree and preparing herself for a bright future. Early voting ends Thursday, November 1. Election Day is Tuesday, November 6. Make your plan to vote today. Because some voters need your help in making the changes we all want to see.